Five years ago, the issue of where our clothes come from went from being a matter of curiosity to something more urgent. It was on 24 April 2013 that the Rana Plaza disaster occurred on the outskirts of Dhaka in Bangladesh; more than 1,130 people died after the factory building in which they were working collapsed. The disaster galvanised Carry Somers and Orsola de Castro, co-founders of Fashion Revolution, into action. Fast-forward to now and it has grown into the world’s largest global fashion activism movement. Their campaign is simple. They are urging the industry to take more responsibility and show greater transparency in the supply chain. If brands do not know what is happening in the factories that supply them, if is difficult for them to improve conditions. 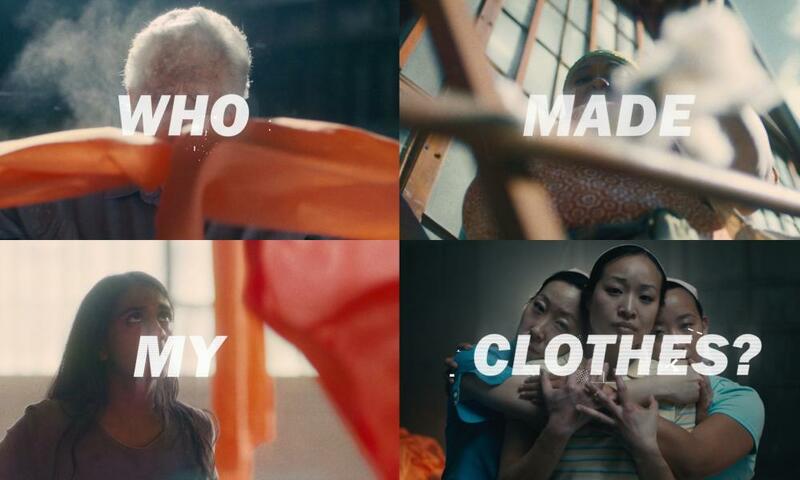 Fashion Revolution asks one question: who made my clothes? There are many ways to support the campaign. By holding our favourite brands to account, it is possible to create change that minimises the risk of such a disaster recurring. Here are seven ways to get involved. A #whomademyclothes post on Instagram by @beecoshop. Who Made My Clothes? by MJ Delaney. The director MJ Delaney has made a short video to spread the Fashion Revolution message. It features music by Richie Fermie and choreography by Christopher Bordenave. You may already have seen Delaney’s work – she made What I Really Really Want, a remake of the Spice Girls’ Wannabe video promoting gender equality for the United Nations Sustainable Development Goals, and last year’s follow-up for International Day of the Girl, to the soundtrack of Beyoncé’s Freedom. Delaney’s film For Fashion Revolution uses various styles of dance to represent each step of the complex journey of a piece of clothing from cotton field to factory floor. Wear the Walk is the fashion equivalent of Netflix. Choose a one-off rental (starting at £30) for a special event, or a range of subscription services, starting at £60 per month, which allow you to choose two items and swap them each month (the fee includes dry-cleaning and insurance). This is a trend set to grow. According to a report by Allied Market, the global clothing rental market was worth $1bn (£700m) in 2017 and is estimated to reach $1.8bn by 2023. Of course, you can always freestyle. Make your wardrobe go further for free by taking part in swaps – there is one happening in Manchester on 27 April – or circulating parcels of clothes among your friends. Check out the tool kits to help you on your way at Global Fashion Exchange. 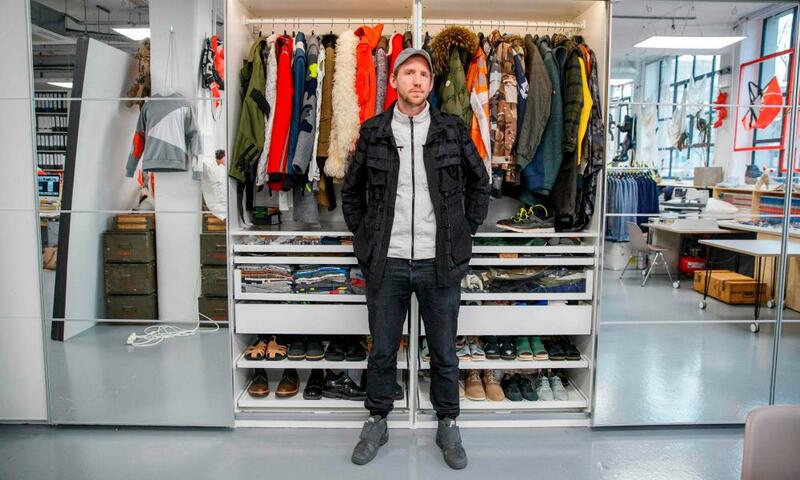 Fashion Open Studio is a Fashion Revolution initiative that is – full disclosure – curated by me. A week-long series of events, workshops and talks, it is the opposite of a catwalk show. The public are invited to designers’ studios, where they can talk about how they make clothes, learn skills and even try making their own. Highlights include a talk by Vivienne Westwood’s head of couture and a visit to the Kent HQ of Elvis & Kresse, to see how they are working with the Burberry Foundation on finding creative solutions for working with leather offcuts. Alternatively, try a repairs workshop with Christopher Raeburn, quilting from waste with Phoebe English or making your own clutch with Katie Jones and Wool and the Gang. To sign up for an event, visit Fashion Open Studio. De Castro says the small decisions we make every day are important. “Our wardrobes are a part of the fashion supply chain, so we can make a positive difference every morning when we get dressed,” she says. We have a responsibility to look after our clothes, wear them well, keep them in circulation and not throw them away after a few wears. We might even sew a button back on here and there; mend a hole. We need to treat our clothes with respect and keep them in circulation so that, ultimately, we buy less, waste less, reduce the amount of textiles we are sending to landfill. Glasgow School of Art is hosting MEND, a workshop to learn how to repair your clothes, on 24 April. Also, De Castro will be with recent fashion and textiles graduates Matthew Needham and Maddie Williams, showing how to think creatively with existing clothes at Barnardo’s Brixton DiscoMAKE in London on 26 April. Tickets are available on Eventbrite. Truman Brewery in London will be a utopian parallel shopping universe this week, filled with brands and clothes you can trust. Organised by fair trade activist and pioneer Safia Minney, the founder of People Tree and now the CEO of vegan footwear brand Po-Zu shoes, there will be events, talks and guilt-free shopping. 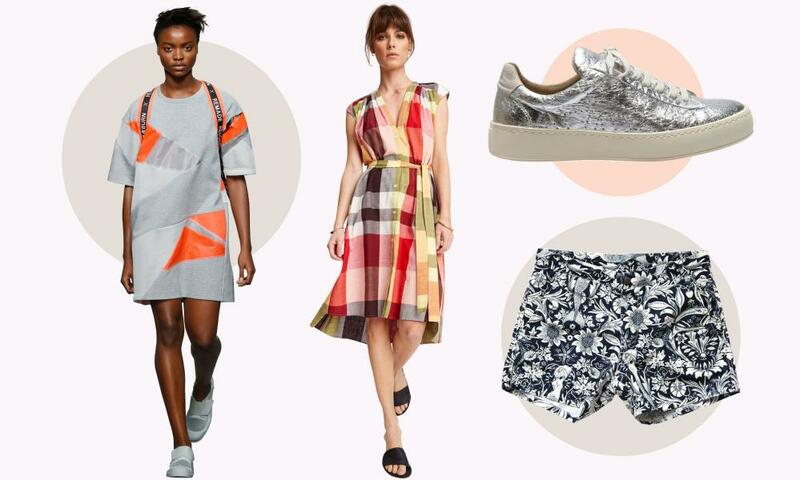 While you are there, you can invest in a pair of Po-Zu’s linen and pineapple “leather” sneakers, along with the latest collections by People Tree, knitwear by Lowie and menswear by Brothers We Stand. Ask any of them who made the clothes and they will be able to tell you. We hope that one day this will be the norm. For times and details of events, visit the Facebook page. To mark its fifth anniversary, Fashion Revolution launched its manifesto during Fashion Question Time at the Houses of Parliament on 23 April. It covers everything from fair and equal pay to freedom of association for all workers to cultural diversity and transparency and accountability across the entire chain.